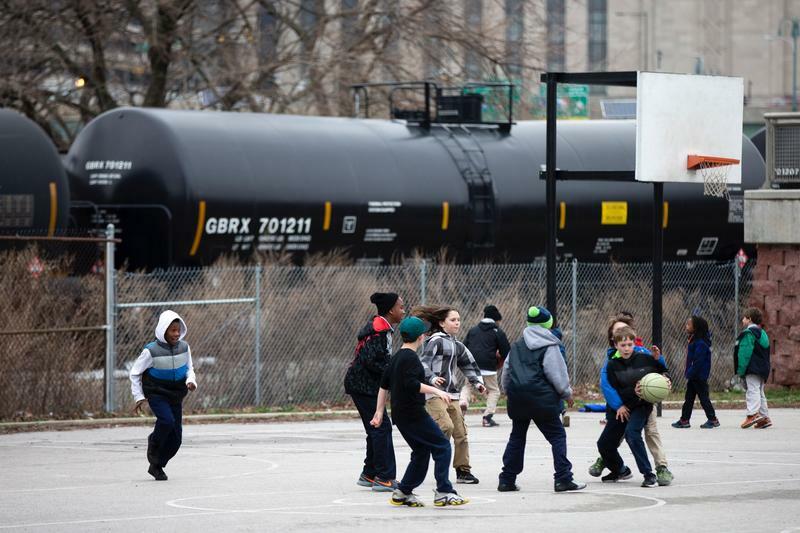 The mournful blast of freight trains as they roll through Pittsburgh is a familiar sound. And with good reason. Amtrak's safety culture suffered major lapses, including more than two dozen unsafe conditions at a work zone where a train slammed into a maintenance backhoe last year, killing two workers, federal investigators said Tuesday. 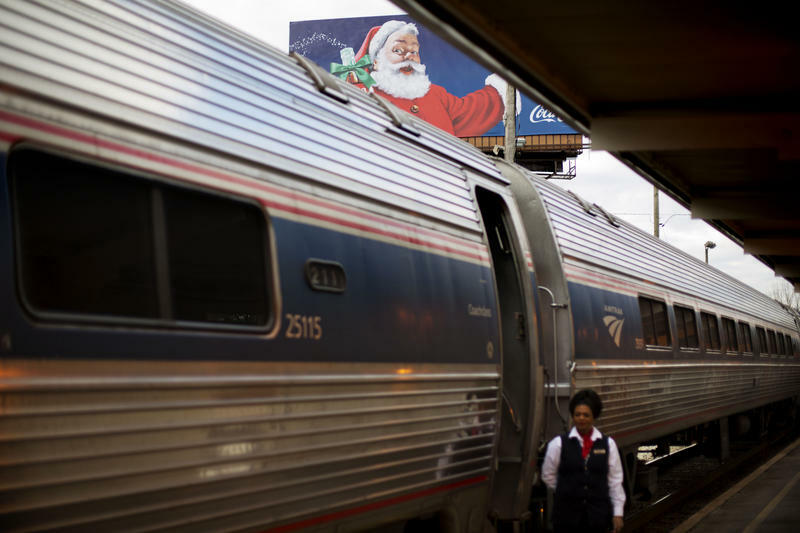 The eastern half of the state has 13 daily trains running between Harrisburg and Philadelphia and back. But once you get west of Harrisburg, things get a little trickier. There's only one round-trip train a day between Harrisburg and Pittsburgh. 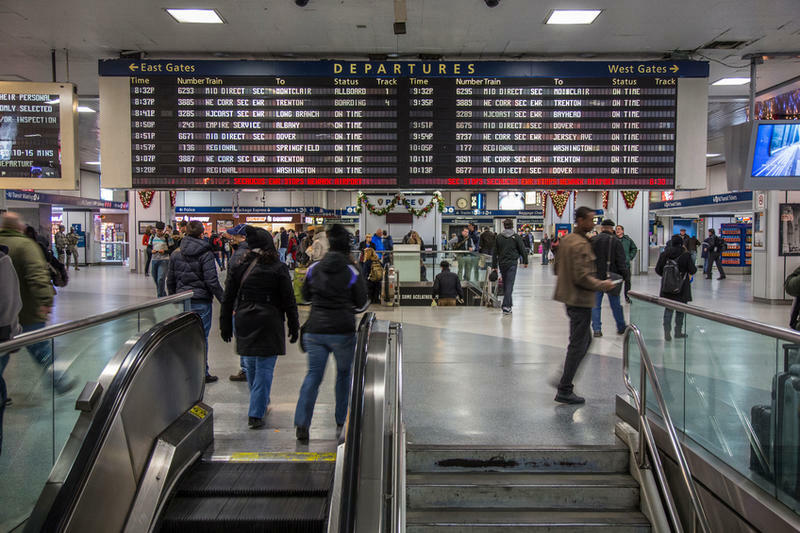 The ticking departures board at Philadelphia's main train station could make its own exit soon. 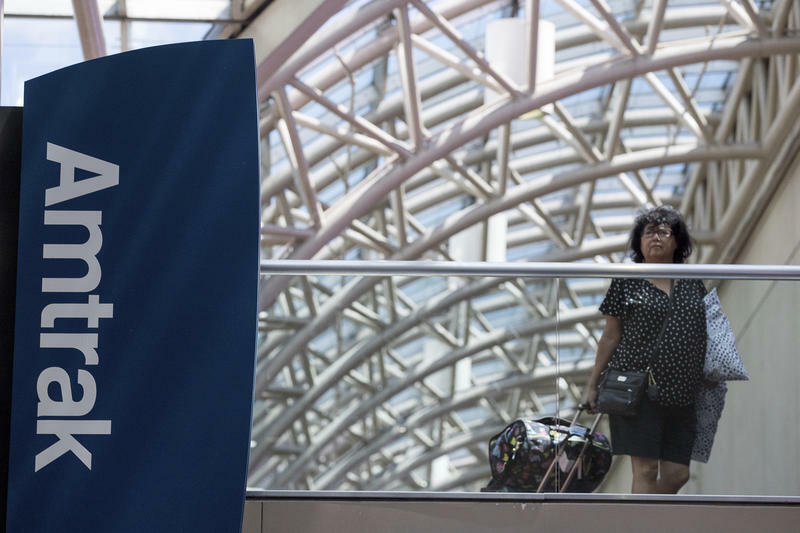 But just how long the letters will continue to flip and signal passing trains at 30th Street Station remains in question. A rash of oil train derailments, spills and explosions in recent years has put a spotlight on the silent risks of transporting fossil fuels. Indeed, hundreds of thousands of Pennsylvanians live within the likely evacuation zone of a potential oil train accident. But according to a new study from the group PennEnvironment, people of color and low-income communities are shouldering a larger share of the risk. State and city officials say 13 cars that derailed on a Pittsburgh freight train were empty and injured nobody. Guy Costa, the city's director of operations, says the 13 cars derailed shortly after 10 a.m. Thursday. Costa says the entire train, not just the derailed hopper cars, was empty. John Poister, a spokesman for the Pennsylvania Department of Environmental Protection confirmed the information and says nobody was hurt. Public safety officials from around the Pittsburgh region joined U.S. Sen. Bob Casey (D-Pennsylvania) at the Allegheny County Courthouse today as he announced his support for a bill that would form a national train derailment task force. The Railroad Emergency Services Preparedness, Operational Needs and Safety Evaluation, or RESPONSE ACT, would create a new set of training and resource recommendations for derailment first responders. It would be a subcommittee under the Federal Emergency Management Agency. A new report shows that about 4 million Pennsylvanians live within a half mile evacuation zone in case of a train derailment. The report comes from PennEnvironment Research and Policy Center, an environmental advocacy group, and FracTracker Alliance, which makes maps and analyzes data from the oil and gas industries. 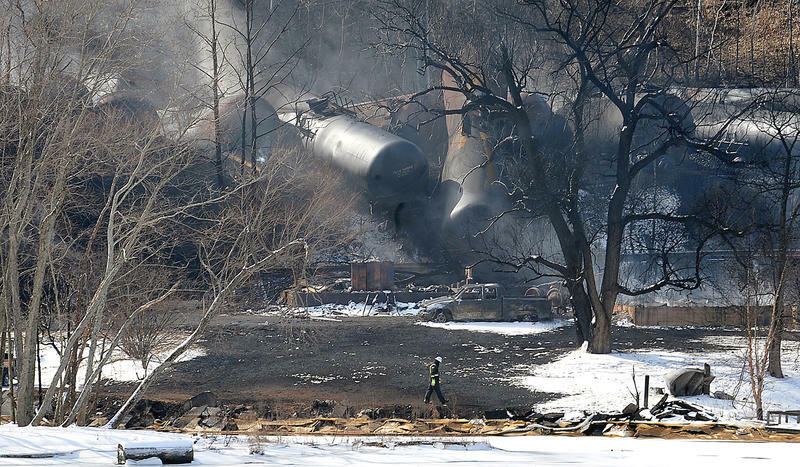 Incidents of derailments in 2014 have prompted questions about safety standards for trains transporting chemicals. But how safe is the transferring of these chemicals from the trains to other vehicles? 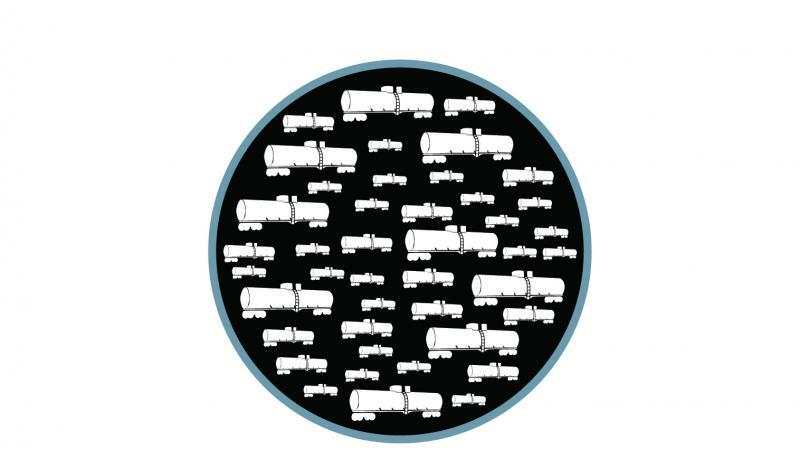 TRANSFLO Terminal Services, Inc. transfers bulk commodities – often high-risk chemicals – between railcars and trucks. But the company does not have a risk management plan in case of an emergency. 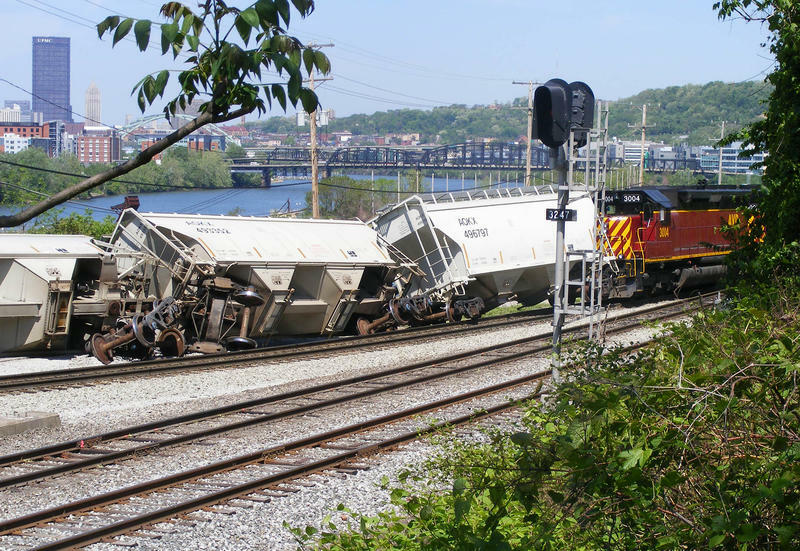 In the wake of several train derailments in Pennsylvania this year, U.S. Sen. Bob Casey is pushing for the passage of the Transportation, Housing and Urban Development (THUD) appropriations bill, which he said would improve rail safety. In the early hours of Monday morning, a train traveling from Chicago derailed over the Schuylkill River in Philadelphia. Six of the seven derailed cars carried crude oil from the Bakken formation in North Dakota, a substance that the Pipeline and Hazardous Materials Safety Administration said is more dangerous than other types of crude oil. 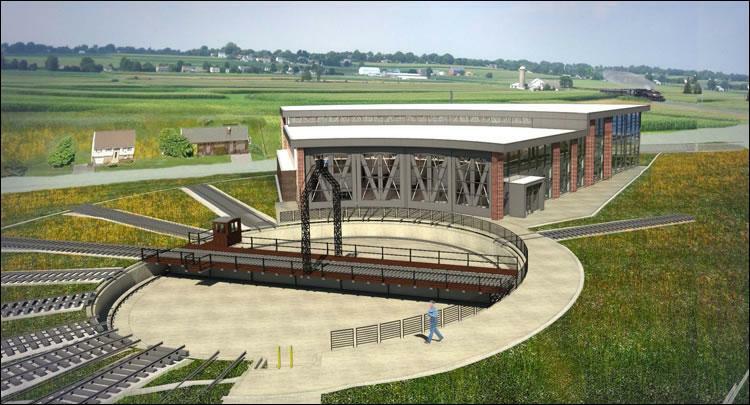 A state-owned railroad museum in Strasburg plans to build a $6.1 million roundhouse of the type used to service and repair locomotives during the glory days of American rail. 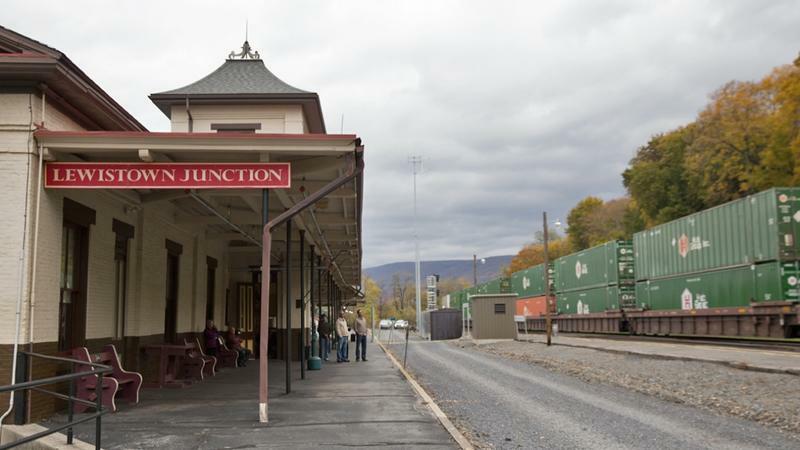 Director Charlie Fox of the Railroad Museum of Pennsylvania said the structure will provide shelter for the most significant pieces of the museum’s collection.